High volume, low pressure dust-free slurry finishing achieves smooth or rough surface profiles for high-grade medical devices. surfaces in a clean and closed-loop system. What is Wet Blasting? Think dry blasting, or sand blasting, only better. Exponentially so. A Wet Blasting System from Wet Technologies is cleaner, often faster, more effective, more efficient and more accurate than traditional abrasive blasting processes — and it’s significantly easier to manage and maintain. Wet Blasting is also much more versatile. It works as well removing oily scale and corrosion from engines as it does etching aviation composites or adding precision textured finishes to delicate medical instruments. 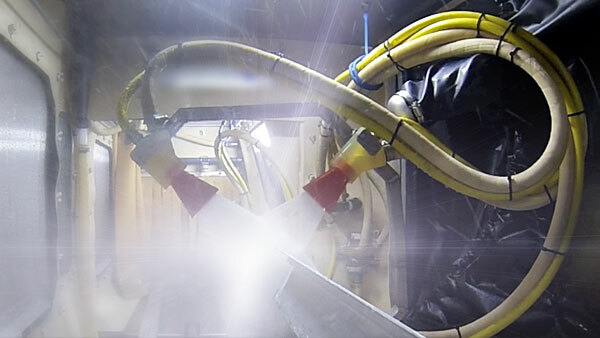 Whatever your industry application needs, Wet Blasting can improve it. 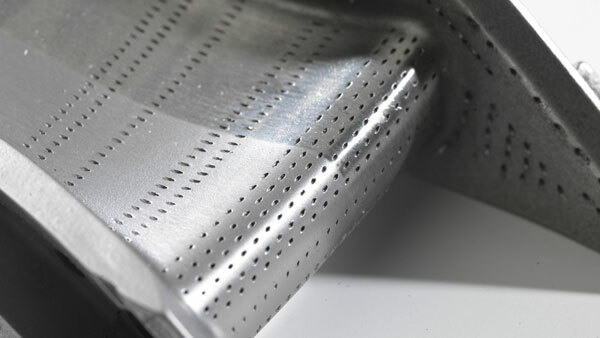 Count on fine, consistent and repeatable finishes with no abrasive embedment in the substrate. And because our wet-slurry liquid abrasive technology is completely closed-loop, Wet Blasting is more than clean–it’s Green. 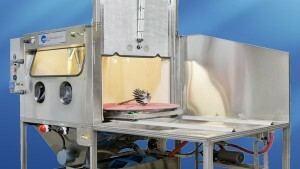 Through our customized system designs and compact equipment footprints, Wet Technologies enables you to integrate this time- and money-saving liquid abrasive process right onto your production floor. No more costly outsourcing, and no more in-house hazards from using dry abrasives. 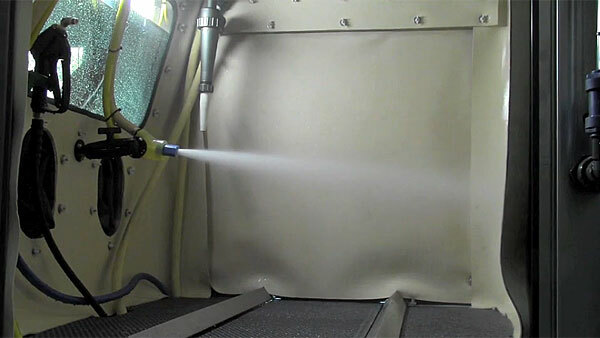 Wet Blasting is dirt-free, sand-free, dust-free and hassle-free. Hands-down, it’s the most revolutionary solution you’ll find today for your abrasive blast-finishing needs.